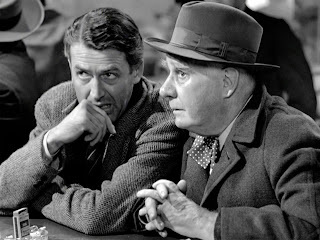 Clarence, the guardian angel of the main character, George Bailey, was trying to dissuade George from killing himself by showing George what the world would have been like if he had never been born. But it wasn’t an easy task for Clarence! For a long time, George convinced himself that the changes he was seeing in his friends, family and surroundings were just the work of his very creative imagination—or the result of some magic trick performed by Clarence. Then George looked to one side, and he spotted a gravestone that had the name of his brother, Harry Bailey, chiseled into it. George had saved Harry from drowning when they were children. Harry had gone on to become a war hero during the Second World War. But the dates on his gravestone read 1911-1919. According to the teaching of 1 Corinthians 12, we, together, make up the body of Christ, which is the Church. This means that, individually, we are like the various parts of a physical body: we each have different roles, different gifts, different functions in God’s plan for the salvation of the world. And yet, just as all the different parts of a physical body are supposed to interact with one another and work together for the good of the body as a whole, so too we in the Church (and in the world) are supposed to interact with one another and work together for the good of all. That’s the will of our good and loving God. So obviously what we do (and what we don’t do) in this life affects not only ourselves; to some extent what we do and what we don’t do affects everyone else, because our lives are so closely intertwined with the lives of others. St. Paul makes that point here by saying that, if one part of the body suffers, all the other parts of the body suffer with it. We all know this by experience, I’m sure. If you have a toothache or an earache, for example, it’s not just your tooth or ear that suffers. That one hurting part of your body affects your entire physical organism in a negative way. And it ends up making you miserable—from head to toe! It’s a terrible thing when one part of your body hurts and everything else seems to hurt with it. But do you know what’s even worse, my brothers and sisters? What’s even worse is when you’re missing a part of your body! What’s even worse is when all the parts of your body that should be there aren’t! Just ask anyone who’s had a part of their body amputated, or who was born without one or more of their limbs. This was the lesson George Bailey learned from Clarence, when he got to see what the world would have been like if he had never been born. He came to understand that he was a missing part of “the body”—and that his whole town was suffering because of his absence. And so it is in the real world, when God wants people around, and they aren’t! I ask you this morning, how many “holes” have been left in our world because of the shootings at Sandy Hook Elementary School last month, and because of the many other murders and acts of violence that take place in our country every day? How many “holes” have been left in our nation because of abortion, since that horrific practice was legalized 40 years ago this very month? Last I knew, about 55 million! If God has a plan for each and every human person (and he does! )—a plan which involves their interaction with other people in the body of Christ and in the world—then what happens when someone who’s an important part of that plan isn’t there? If you have a young son or daughter, for example, and it was part of God’s plan for that son or daughter to marry one of the children killed in Newtown, Connecticut, last month, how will your child’s life be affected in the future? Or what if the person whom God wanted your son or daughter to marry was aborted and never made it out of the womb? Or what if, in the plan of God, one of those children from Newtown was destined to become a great scientist—maybe the scientist who would unlock the secret to Parkinson’s Disease and discover a cure? The “hole” that person leaves will certainly have a negative impact on my life! I can guarantee that. Among the almost 55 million who have been killed in the womb in the last 4 decades, don’t you think there were at least a few great scientific minds? And perhaps a few economists, who would have had the insights that we need to turn our sick economy around? And perhaps a few people who would have developed successful businesses to put some of our unemployed citizens back to work? And maybe even a few good priests and religious who could have saved some souls who otherwise will die in the state of mortal sin? May God help us all to take this truth seriously, and then to make every effort—by our words, by our deeds, and yes, even by our votes—to prevent any more “holes” from afflicting our world. Jean Valjean (played by Hugh Jackman) receiving the silver candlesticks from the Bishop of Digne (top); then, after his conversion, with his adopted daughter, Cosette. As many of us know, those are the words of Jean Valjean in the musical (and now the movie), Les Miserables—both of which are based on the Victor Hugo novel of the same name. Valjean says these words after the Bishop of Digne has extended to him the mercy and forgiveness of Jesus Christ—mercy and forgiveness that Valjean definitely did not deserve! 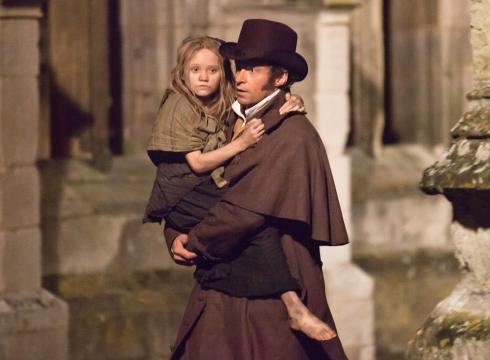 Most of you know the story, but for the benefit of the few who don’t: the basic plot centers around this man named Jean Valjean, who lives in France at the beginning of the 19th century. Valjean spends almost 20 years behind bars doing hard labor on a chain gang. For stealing a loaf of bread to feed his starving sister and her child! By the way, in the new movie version of the story, they changed that last line to, “I have saved your soul for God”—which I like even better. It makes the point even more powerfully. At that moment, grace is offered to Jean Valjean: the grace of forgiveness, the grace that Jesus Christ won for him and for all of us by his passion, death and resurrection. Valjean then goes through an internal struggle. He’s been touched by this act of kindness and love and he suddenly wants to change, but how can he? How can he possibly wipe away his terrible past and live a new life? 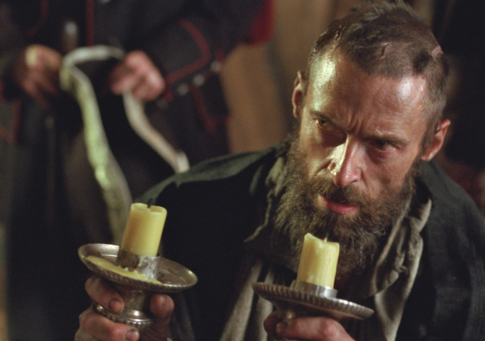 Of course, the good news for Jean Valjean was that he didn’t have to do it by his own power and merits! As the Bishop had reminded him, “by the passion and the blood”—that is to say, by the passion and the blood of Jesus Christ—the grace of justification, the grace that could cleanse him and make him pleasing to the heavenly Father, had already been purchased for him. All Valjean needed to do was accept it. Here, my brothers and sisters, we learn an important lesson about Baptism, and about the grace of Baptism (which is what the Church calls ‘sanctifying grace’). This is the grace that makes us pleasing to God. It’s the grace we need in our souls at the end of our lives if we want to be able to enter the kingdom of heaven! But this is a grace that we can’t earn or merit initially—which is a tough idea for some Catholics to swallow, since they actually believe that they can somehow “earn” the grace of salvation by their own good deeds. Ask Catholics and other Christians the question, “Why should God let you into heaven?” and many of them will respond by saying things like: “He should let me into heaven because I’ve obeyed the commandments,” or “He should let me into heaven because I’ve performed many acts of charity in my life,” or “He should let me into heaven because I’ve been a really good person”—or something along those lines. But all of those answers are wrong! Please hear this: The only reason God will let you or me or anyone else into his eternal kingdom is not because of anything we have done for him; it’s because of what his Son, Jesus Christ, has done for us through his passion, death and resurrection! We cannot save ourselves; it’s impossible! God, in his mercy and love, has to save us—which is precisely why he gave us the sacrament of Baptism! Through Baptism we are freely given the grace that Jesus won for us on Good Friday and Easter Sunday. In fact, that’s precisely what it means to have original sin “taken away”! Original sin is not like the personal sins that we commit in our lives and confess in the confessional; original sin is actually the lack of something: the lack of sanctifying grace! Original sin means that we come into this world without sanctifying grace in our souls. And, as I said earlier, we need this grace in our souls if we want to be able to pass through the pearly gates when we die! The early Fathers of the Church used to say that, when he was baptized by John the Baptist in the Jordan River, Jesus “sanctified the waters”. In other words, Jesus didn’t need to be baptized, because he had no sin. He received the baptism of John (which had no power to forgive sin in and of itself) to give us an example. He did it as a sign of what he wanted his followers to do after his resurrection; and as a sign of the fact that the Christian sacrament of Baptism would have the power to forgive all sin and give us eternal life! Now does that mean that keeping the commandments and doing good deeds are not important? No, it doesn’t! Those things are extremely important! First of all, if we don’t strive to keep the commandments, we will probably end up committing a mortal sin and losing sanctifying grace. And, as I indicated earlier, if we die without sanctifying grace in our soul, there’s only one direction we can go—and it’s not “up”! And, secondly, even though we can’t merit the initial grace of salvation, we can grow in sanctifying grace by our acts of faith and charity (see CCC, 2010), and thus have a higher place in heaven when our earthly life is over. From criminal to saint—by the power of God’s grace! That’s what Les Miserables is all about. And that’s why every Catholic should see this movie! 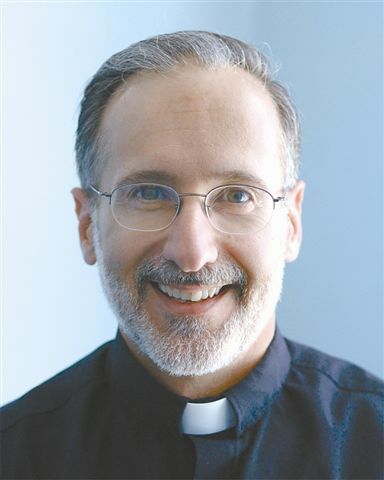 Today’s homily is entitled, “How to get away from the ‘Herods’.” Notice that “Herods” there is plural. It’s plural because there are lots of Herods around these days. Adam Lanza, the man who murdered his own mother, and 20 children and 6 adults at the Sandy Hook Elementary School on December 14, was definitely a “Herod.” In fact, his behavior would have made the original Herod quite proud. As the original butchered the Holy Innocents when the Magi failed to return to him after their visit to the Christ child in Bethlehem 2,000 years ago, so Adam Lanza killed 27 innocent human beings in Newtown, Connecticut the other day. But it’s not only mass murderers like Lanza who fit into this category. In point of fact anyone who advocates or supports the destruction of innocent human life is, in some sense, a “Herod.” This would include abortionists as well as all the politicians and lawyers and judges who enable them to do their dirty work! It would include the medical doctors who withdraw nutrition and hydration too quickly from terminally ill patients, such that those patients actually die from the lack of food and water, and not from their respective diseases. It would even include the purveyors of violence in the entertainment industry in our country: the makers of violent video games and the producers of blood and gore movies and TV programs. On that note, I went to see a movie at Regal Cinemas in Stonington a couple of weeks ago and I was forced to sit through 20 minutes of previews! (I’m not exaggerating either; it was 20 solid minutes—I timed it! The movie was scheduled to start at 6:30, and it began at 6:50! No wonder so many people are late for Mass and for just about everything else that they do in life. They’re being trained at the movie theater to be late!) Now the reason I mention this today is because for at least 15 of those 20 minutes, I was forced (as was everyone else) to watch images of people being shot or blown up or beaten up or physically attacked in some other way. Please don’t tell me that this kind of entertainment has absolutely no effect on the daily conduct of people in our society! If nothing else, this kind of stuff helps to create an “atmosphere of violence”; and all of us, like it or not, breathe in that atmosphere every day. Herod, of course, would absolutely love it! He, after all, was a man who murdered lots of people in addition to the Holy Innocents—including several members of his own family! That’s why Caesar Augustus reportedly once said that it was safer to be Herod’s pig than it was to be Herod’s son! Sad to say, Augustus was probably right. Herod’s whole life as a ruler was lived in an atmosphere of almost incessant violence. Which seems to be where we’re headed in our country, at least as of late. 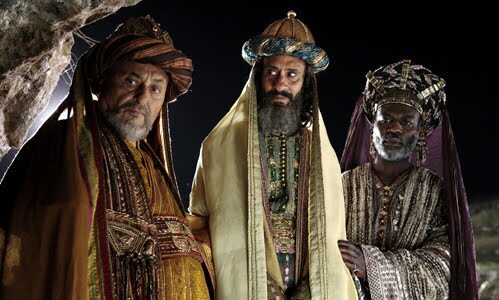 And here we can learn some very important lessons from the Magi, who did a great job of getting away from the original Herod 2,000 years ago! We heard about that in our gospel reading this morning. Herod wanted the Magi to return to him after they visited the newborn King of the Jews, but St. Matthew tells us that they took another route back to their home country, and consequently never saw Herod again. Now if you read the story carefully, you see that there were reasons why this was the case: reasons why they ended up staying away from this evil, violent man. I’ll mention a few of the more important reasons in this homily—all of which apply to our situation today. As Catholics, we are blessed to have the “light” of the fullness of the gospel—the “light” of the fullness of God’s revealed truth in Jesus Christ—to guide us through the “minefields” of this life and keep us away from the majority of the Herods out there. But how many Catholics really follow that light? In other words, how many Catholics know and understand and embrace the teaching of the Church on doctrinal and moral matters? If you believe the polls that are always cited in the media, not enough do. And how many Catholics heed the warnings that God gives to them through people like the Pope—warnings against the hedonism and materialism and secularism of the world? Once again, if you believe the polling data that’s out there, not enough do. Is it any wonder the Herods are so numerous and so active in our modern American society? The Magi also bent their knees (so to speak) to the Savior. Actually the text says they did more than get down on their knees: they actually prostrated themselves before the Christ child! That action was a sign of their total submission to the Lordship of Jesus Christ! If we want to get away from the Herods of the modern world, we have to do the same. The fact is, the further we distance ourselves as a society from God and his Son Jesus Christ, the more lawless we become. Kick God and his moral law out, in other words, and the Herods will very happily and very quickly fill the vacuum! Dear Concerned Student, I’m not allowed in your schools. But unfortunately sometimes the Herods are allowed in—Herods of one kind or another. And that’s why this final point is so crucial: To get away from the Herods, we also have to give what we can give—just like the Magi 2,000 years ago gave what they could give (namely, their gifts of gold and frankincense and myrrh). I’ll give you a perfect example of what I mean by this: One of the reasons that abortion became legal in this country 39 years ago was because in the late 1960s and early 1970s many pro-life Catholic doctors and nurses and lawyers and judges and university professors did not “give” what they could have given: they failed to “give” a clear, intelligent public defense of innocent human life in the womb! They were, to a great extent, silent on the matter. And so the Herods got what they wanted in the Roe v. Wade decision in January of 1973. The Herods win if we fail to give INSTRUCTION AND GUIDANCE to our children on moral matters. They win if we fail TO GIVE SUPPORT TO PEOPLE AND TO ORGANIZATIONS THAT PROMOTE RESPECT FOR INNOCENT HUMAN LIFE (and that includes political support). They win if we fail TO GIVE THE WITNESS OF OUR PRO-LIFE WORDS AND ACTIONS AT SCHOOL AND AT WORK AND AMONG OUR FRIENDS. Make no mistake about it, if we don’t “give” in these and similar ways, the Herods “get”. And everyone suffers for it. So today, Lord, we pray that more Catholics, more Christians, more believers will do what these Magi did—these Magi who followed the right light, and who heeded your warning, and who submitted to your Lordship, and who gave all that they could give—and who, in the process, got away from Herod.